Google's Pixel 2 and 2 XL might not be without their drawbacks, but the pair are still excellent phones with some of the best software and cameras out there. The most significant real disadvantage to each has been the price tag. At $649-949, they weren't exactly cheap. But, for a short time, Google has discounted both the Pixel 2 and Pixel 2 XL—$50 in the case of the Pixel 2, and $75 in the case of the 2 XL. You can nab both over at the Google Store. True, $50-75 isn't a huge discount. Best case scenario (in the case of the 64GB 2 XL), the price represents just a bit under 9% off. But it's the first real discount we've seen for the phones sold directly from the Google Store. 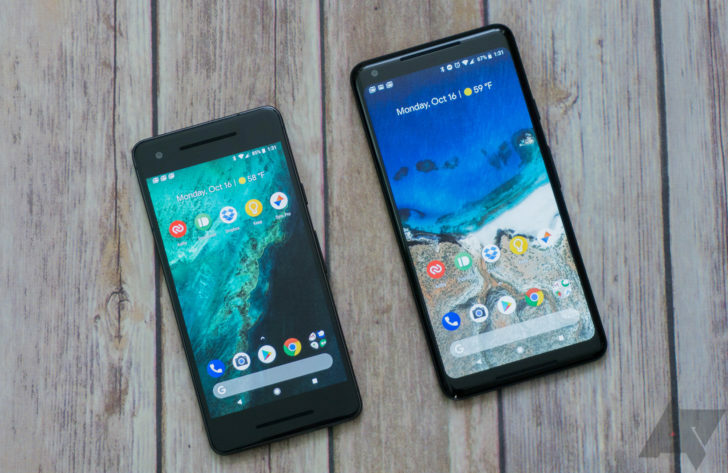 If for some reason you've been living under a rock, you can check out our review for both of Google's latest flagships. Both phones include most of what you expect from a 2017-era device, as well as one of the best smartphone cameras you can buy. As you'd expect from a Pixel, it also has some of the best software of any phone, and it gets monthly updates directly from the source. Google also seems to have coordinated its supply of phones a bit better this year. It looks to us like every configurable SKU is in stock. So if you've been waiting for a discount to pull the trigger, and carrier promotions aren't your style, this might be the way to go.